The NCD Church Profile includes 30 surveys that are 90 questions each that are shipped to you for your convenience. ?With these, you will be surveying as many people as possible (up to a maximum of 30) to accurately find the?areas that your church family is strong in, and those that have room for improvement. For the most accurate results select participants who? 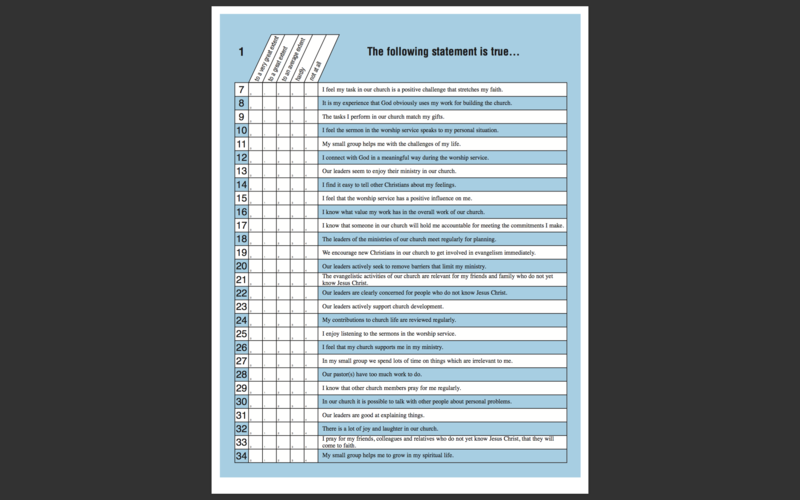 The NCD Church Profile includes the 30 surveys and the first level of results once the surveys are completed. For deeper and more extensive detail on the results of your surveys, please include a Profile Plus or Isights Report purchase (which ever seems to fit your needs the most) for a second, more detailed results report.